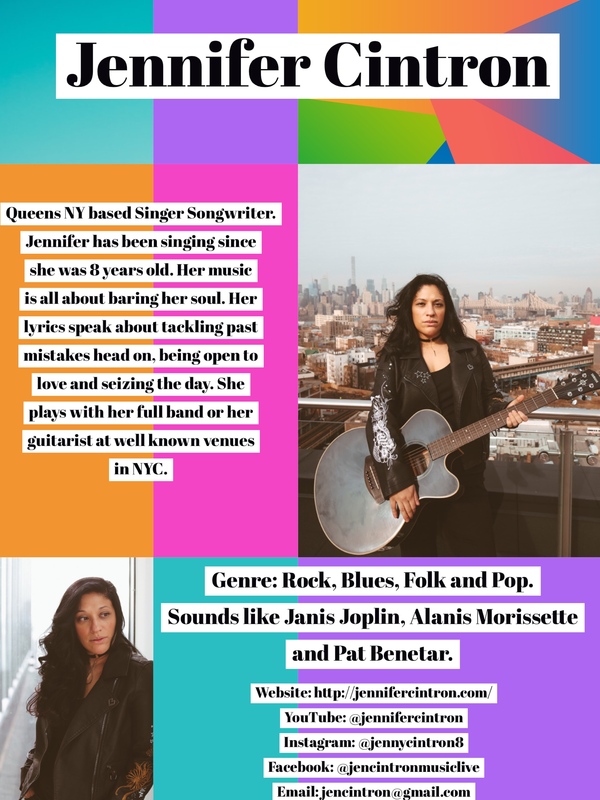 Jennifer Cintron's Music has an old school 70’s vibe, with funky beats and bass lines that blend beautifully with her bluesy soulful vocals. Her eclectic writing style draws people in with lyrics that speak about tackling past mistakes head on, being open to love and seizing the day. Her sound is a mix of Rock, Blues, Folk, and Pop. Her vocals have been compared to Grace Potter, Alanis Morissette, and Janis Joplin. Her music has been influenced by 70's classic rock, Billie Holiday, Alabama Shakes and Sia. She plays at well known venues in NYC with her full band or solo with her guitarist. Copyrights © 2018 All Rights Reserved by Kisai Labs.